After my initial review the owner reached out to me and genuinely wanted to know why I was not satisfied. After i explained my experience he apologized and made sure the service that i needed was addressed immediately. Truthfully i was surprised that Marco contacted me but that just shows that he really cares about his customers. After my follow up visit the staff, specially John, was extremely helpful and provided a stellar service. Todd was the best salesman that I have ever come across. I saw the car I loved and got a great deal. They took in my trade and made it so easy.. I would highly recommend Infinity Roseville to anybody looking for a reliable car. Overall I really enjoyed my visit. I enjoyed meeting the service department and the detail in which my car was cleaned before it was given to me. Tara and Paul are amazing, complete professionals who were courteous and have astute attention to detail. You can't go wrong with them. I will consider them again in the future. Paul and Tara were great, they gave me a great deal, were friendly and genuine. No pressure to make the deal. Accommodating and helpful, thanks! I went in today for a test drive Todd was awesome, he’s professional and very helpful. I got my dream car for a great price! Thanks to Todd i couldn’t be more happier. Highly recommend him. Love John in service and Asia on the phone. They're helpful, knowledgeable, warm and friendly. It's always a pleasure to come in for service on my INFINITI. Paul Reyes is highly recommended. Great and honest. Really great customer service. They work really hard to work with you and your funds. I'm happy we choose to buy from here the car is beautiful and no problems so far, thanks guys. We loved working with Sarah. She took the time to understand our needs and figured out the right package that checked all of the boxes for us at a reasonable price. We have a family of five so reliability and safety were huge factors for us. We love the smooth ride and the technology really made this car stand out amongst the competition. Thanks again for all of your hard work Sarah! She really made the process as seemless as possible. Even delivering our car to our home and driving away our trade in! I couldn't be happier with the experience that I received from Steve and Esther. From start to finish I felt taken care of. The team was knowledgeable, professional, and friendly. If you are in the market for a new vehicle you need to come and speak to Steve at Roseville INFINITI. We are out of state buyers who purchased a new QX50. Overall we had a great experience. We shopped dealerships covering much of the west coast. Roseville INFINITI found the exact vehicle and offered rhe best price. Even delivered it without an additional fee. Our salesperson ( Sarah Farinsky) provided excellent customer service. 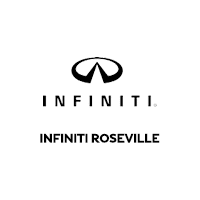 We highly recommend Roseville INFINITI. Sales associate Sarah Farinsky was great during our test drive of the QX50. She was friendly, patient, and knowledgeable. We had a great experience. Thanks Sarah. Today we went to Infinty Roseville to look at a used Ford Escape. Todd help my wife and I. Todd was amazing from the moment he said hello to the time we said good bye. It started with him bringing us water and a umbrella because it was raining. We took the car for a test drive. He answered any question we had about the car, also while asking questions about us and making it a personal experience, not just about selling a car. He went over all information with us step by step and made sure we didnt have questions. We also met Shawn who finalized all the paperwork. He was also very professional and made it a personal experience. Overall my wife and I had a great experience today and if we need cars in the future we may be looking here first. Thank you! Professional, enthusiastic, thorough, warm, hassle- free are the words that immediately come to mind when describing our experience with this dealership. 10 out of 10. I had a great experience with Sarah. She was patient and truly caring. She made the car shopping experience a lot less stressful. She went above and beyond not only while at the dealership but also followed up with me to make sure I was taken care of. I would highly recommend working with her. Thank you Sarah for the great experience! I sold one of my used vehicles to Infinity of Roseville and worked with Tara Freeman. The vehicle was purchased at the agreed upon price and I was in and out in less than an hour. Tara was fantastic and went out of her way to help me. I would recommend them to all my friends and family. Sarah Farinsky made the car buying experience a positive one for the first time ever. From the time I walked through the doors to the time I left, would have been less than one hour had the car I bought not still been wrapped in plastic. Sarah was pleasant, professional, engaging and sincere. She promised it would be hassle free but I’ve heard that before. It was hassle free. She even followed up with a few text check-ins to make sure I liked the car and didn’t have any questions. 110% for EXCELLENT customer service. About two weeks ago, my family sold my moms car to Tara through Kelley blue book. She was personable, professional, and made the whole process easy. Highly recommended! Called ahead of time to ask a few questions. Sarah immediately pulled the car she thought would best suit my needs. By the time I arrived at the dealership an hour later Sarah had a car pulled up and was ready to take me on a test drive. Since my top concern was safety features, Sarah walked me through the safety technology...by driving down hill without applying the brakes! And the car stopped itself. I was amazed. Long story short, through a ten minute test drive Sarah was able to instill in me a confidence that the car will keep my family safe. I returned to the dealership the following morning with my husband. He took a quick test drive and loved the way the car handled. About an hour later we walked out of the dealership with papers signed and a new QX50. Got our 5,000 mile service. Always great service, friendly, courteous staff and they go above and beyond! Wish I could buy a bunch of Infinitis! Love these cars!